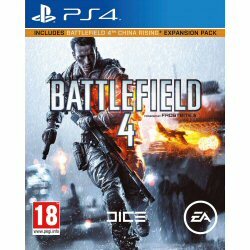 Battlefield 4 is out and its a great game. Among the things that I like about this game are the totally destructible environments - the likes of which have not been seen in any game before BF4. The Frostbite 3 engine does it all including next gen graphics and fluid gameplay. The single player story line is good and China Rising is a great add on. I haven't experienced any cons till now but have been hearing about problems of server lag issues in multiplayer mode. I also heard about problems of lower frame-rates though I didn't experience any myself. In all it is a must buy and must play for PS4 owners.